Walking in Wicklow, J.B. Malone, Helicon (1964). Cover design by Cor Klaasen. The unfortunate Fursey, Mervyn Wall, Helicon (1965). Cover design by Cor Klaasen. Meeting Christ, Brian Kelly, Educational Company of Ireland (1971). Cover design by Cor Klaasen. 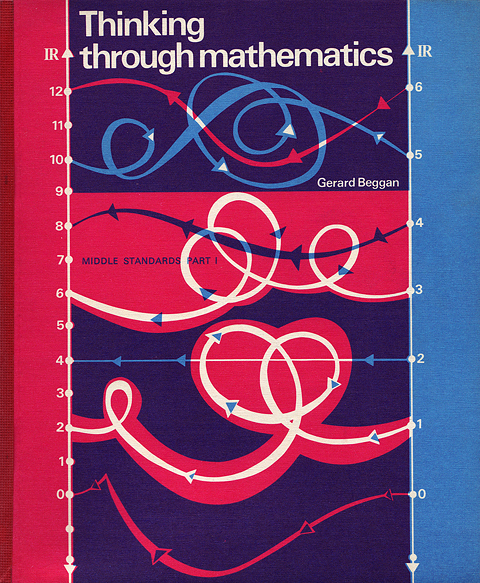 Thinking Through Mathematics, Gerard Beggan, Fallons (1971). Cover design by Cor Klaasen. Aistí agus comhrá, Pádraig Mac Concoille, Fallons. Cover design by Cor Klaasen. Cuir Síos Air, Fallons. Cover design by Cor Klaasen. I included a single cover by Cor Klaasen in a previous post and commented that I hadn’t managed to track down many examples of his work despite knowing that he was both talented and prolific. Since then I’ve been contacted by Cor’s widow, Tineke, who has been generous enough to show me the comprehensive archive of his work which is in the family’s possession. 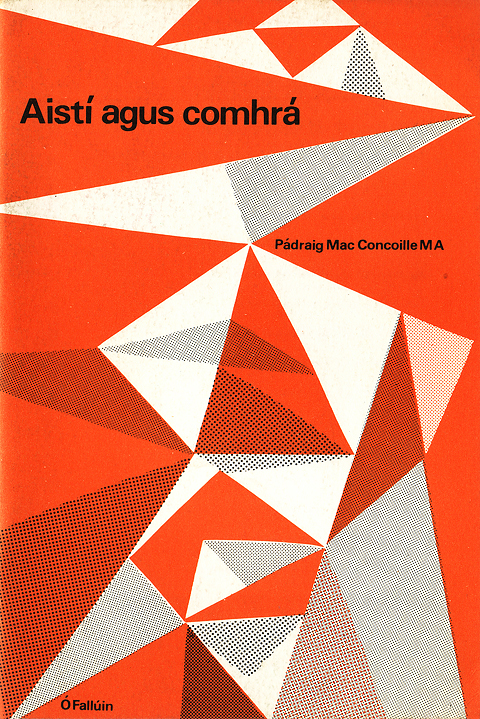 Cor Klaasen is a significant figure in the history of Irish graphic design and it is indicative of the lack of importance attached to visual culture in Ireland that such a rich body of work has faded from view. 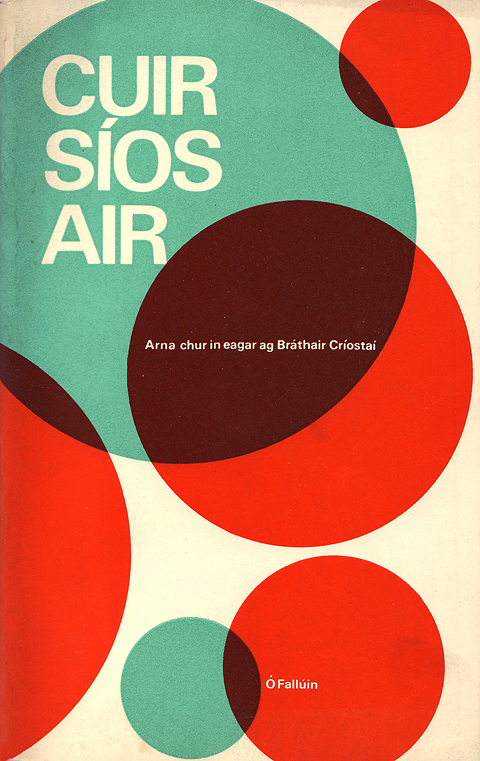 In order to begin to rectify this situation Vintage Irish Book Covers, along with the Klaasen family, are organising an exhibition of Cor’s work from the sixties and seventies which will coincide with Design Week 2010. The exhibition will consist of book cover designs for Gill & Macmillan, Fallons, Helicon, Torc and the Talbot Press, amongst others, as well as a series of striking record sleeves designed for the Mercier Press. You can see more of Cor’s work and updates on the exhibition here: www.corklaasen.com. 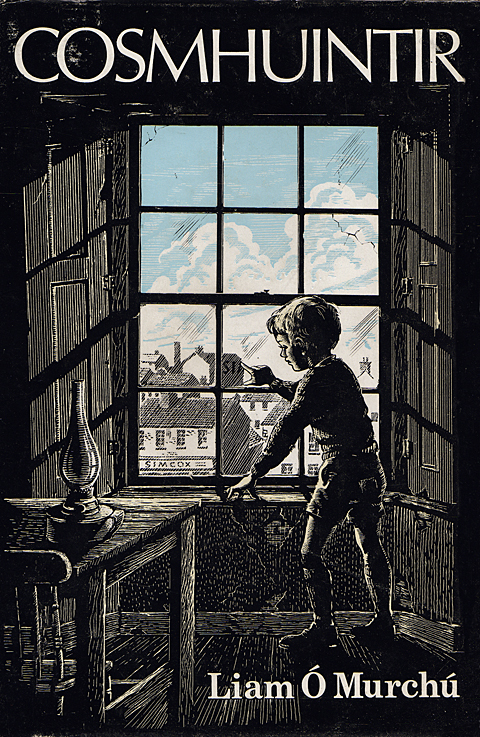 Cor was a natural illustrator whose style developed over his career as he experimented with different media and techniques. In the fifties he favoured pen and ink. His artist’s notebook Het is Niet Waar (1954) captures the essence of his style from this period – a wonderful mix of George Grosz grotesque and Jim Flora’s exuberant fun. I hope to add some pages from this marvelous book to the corklaasen.com site soon. By the sixties Cor is using cut-outs and collage to achieve his lively designs. Most of the examples above use this method. The exception is The Unfortunate Fursey which is a mix of pen and ink and colour overlay in three colours. All of the rest are just two colour jobs but achieve maximum effect by imaginative use of colour mixing. Walking in Wicklow was one of the first of Cor’s covers that I became aware of and it is still one of my favourites. The couple have been cut from black card using a swivel blade. No mean feat considering the original cutouts are reproduced same size on the book cover. 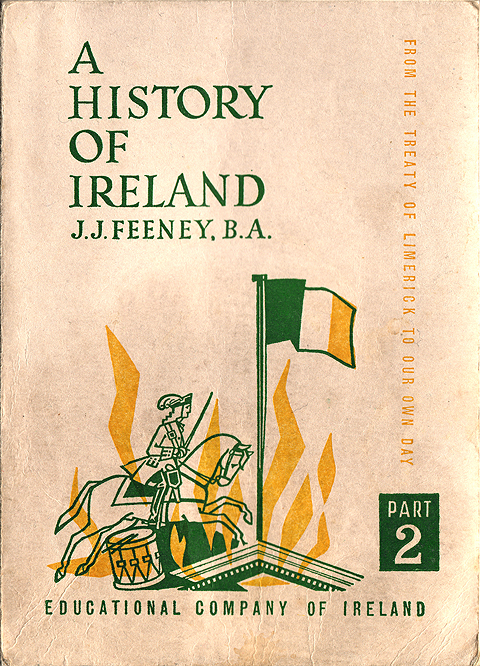 A History of Ireland, J.J. Feeney, Educational Company of Ireland, n.d. 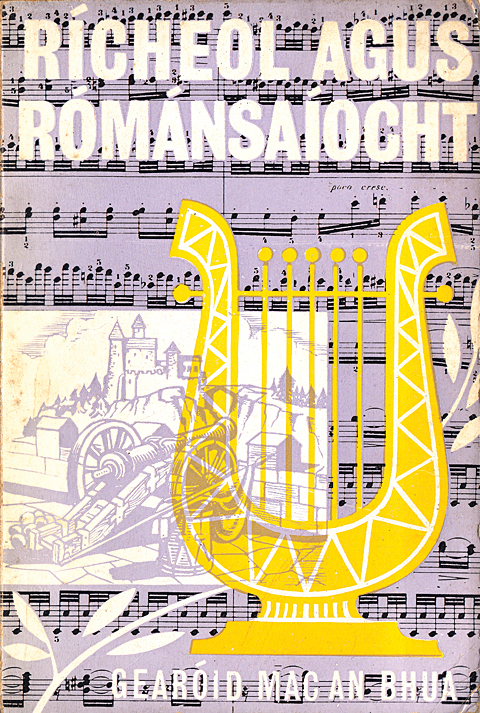 When I first came across Karl Uhlemann’s name I assumed that he was yet another talented Dutch designer who found himself working in Ireland in the 1950s. In fact he was born to a German father and Irish mother sometime around 1910. Although I can’t confirm that he was Irish born we do know that he was educated at Synge Street CBS and went to work at Colm Ó Lochlainn’s Sign of the Three Candles press upon leaving school. He is probably best known for drawing the initial sketches for the Colum Cille typeface (1936) which Ó Lochlainn developed with Stanley Morrison at Monotype. Above are four examples of Uhlemann’s book cover work – 2 three colour designs from the early sixties and 2 later two colour designs. His illustration style is hard to pin down as it varies widely over these four covers yet he achieves a very pleasing design with each one. 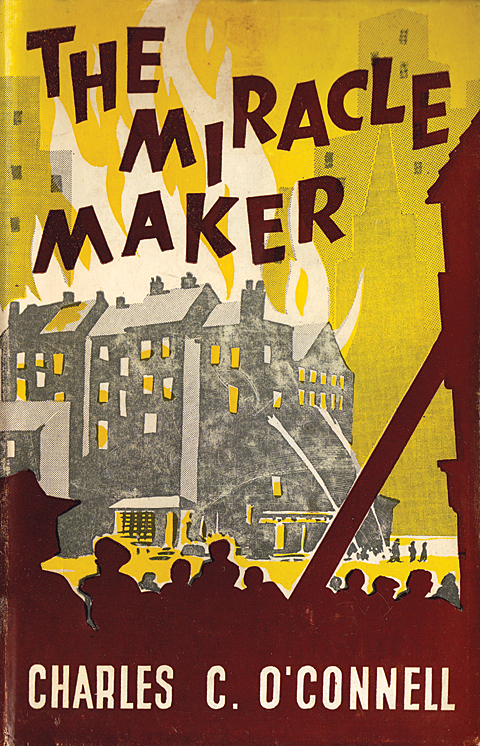 I particularly like the lettering on the title of The Miracle Maker. The few biographical details I could find come from Dermot McGuinne’s excellent book Irish Type Design: A History of Printing Types in the Irish Character. Karl Uhlemann passed away in 1992.